This story is very sad but yesterday morning on Power 105’s The Breakfast Club, Angela Yee,Charlamagne Tha God and DJ Envy took time out to address the issue of domestic violence. Much of their discussion focused on a Bossip article about a restraining order taken out by Flex's wife following a domestic violence case. Speaking about Funkmaster Flex’s past history of violence against women provided a convenient opportunity to respond to Flex’s recent shots at C Tha God on the radio and Instagram. The Power 105 segment also touched on an earlier incident in which Flex was arrested following a physical altercation with radio DJ Steph Lova. 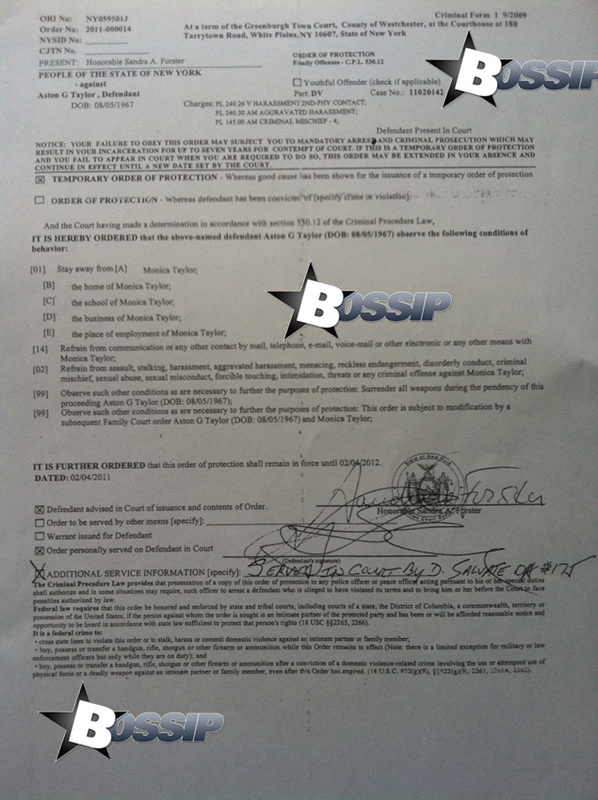 Lova filed an order of protection after that incident (you can view the official document here). Listening to the audio, it seems like the Breakfast Club's desire to spread awareness about domestic violence was motivated by more than just a desire to do good works in the community. Near the end of the segment, C Tha God couldn't resist taking a shot at Flex and fellow Hot 97 Mr Cee: “Mr. Cee likes transsexuals and you beat women. Don't none of y'all over there like girls.” So was this really a public service announcement, or payback?